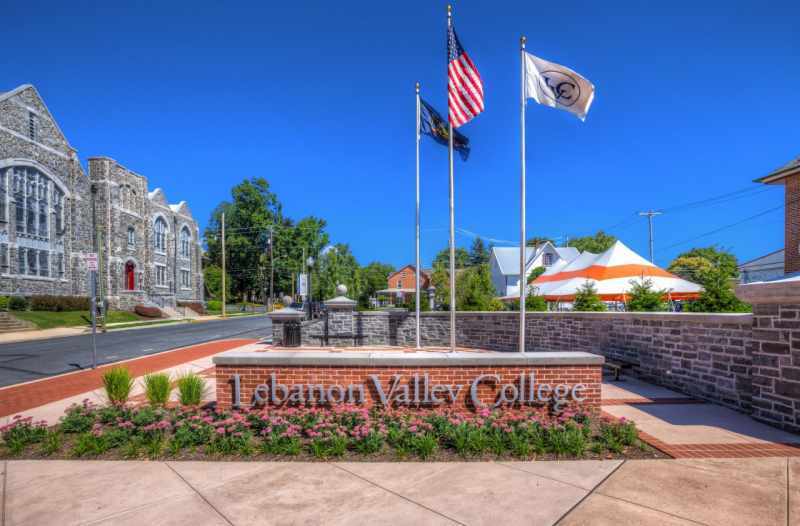 I mentioned in my last post how Allie (Allyce Mulhern, and I hope I’m remembering her name correctly) approached me about participating in a play reading at Lebanon Valley College (LVC). The single rehearsal was on an evening a few days later at Allie’s home. The play was essentially a short radio play in that it was meant to be read, not staged, and it was written by a local member of LCTI. Apparently it was a sequel to the play that had been performed the previous year at LVC, and it had three characters: a Jewish woman referred to only as “Mama”, her college age son, and his non-Jewish girl friend. Or rather she had been his girl friend in the previous play. Since then, they had secretly gotten married, and the premise of the new play was how to break the news to Mama. Allie was playing the the part of Mama, and I was playing the part of the son. I no longer recall the name of the young woman who played the girl friend/secret wife, nor do I recall the name of the playwright, who was also present at Allie’s home for the rehearsal. The play required a narrator, but the person who was to read that part was not present at the rehearsal, so the playwright did the honors. There was a bit of an uncomfortable moment when we received our scripts because it turned out that Allie had rewritten about half of the dialog, apparently without the playwright’s knowledge or permission. At the end of the rehearsal she asked him if he approved of the changes, and he graciously shrugged. If I’m not mistaken, Allie was originally from New York City, and well, one just didn’t argue with her, even though she was a relatively diminutive woman. She was a good choice to play Mama. The day of the performance arrived; I believe it was just before Thanksgiving. Anyway, Betty Schultz, who was to read the part of the narrator, had made arrangements to pick me up somewhere, I’m not sure where, I just remember riding in her car to LVC. Now I had heard the name Betty Schultz many times. The previous year, when Debbie Miller was a member of LCTI, she had mentioned her name often, but this was the first time I had actually met her. She was one of those people that you want to describe as a force of nature. I was to come to learn that she was a night person who usually slept in until noon. At a subsequent meeting I heard her complain about having to “get up at the crack of dawn—9 AM” for a meeting of some sort. But she was fiercely devoted to LCTI, and had strong opinions as to how it should be run, and these sometimes brought her into conflict with other members who had equally strong opposing opinions. Later on in the 1970s she ran for mayor of the city of Lebanon, but her campaign faltered because, I think, she was too closely identified with LCTI and there was a perception that she was only seeking the office in order to divert city resources to the theatre group. When we arrived at the college, Betts decided that I looked too young for the role. I was a high school senior playing the part of a college student in a reading of a play. But there was really no arguing with Betty “Force of Nature” Schultz. So she dragged me into a rest room, whipped out her eye liner (in my original post I erroneously called it mascara), and proceeded to draw some age lines on my forehead and at the sides of my mouth until she was satisfied that she had sufficiently aged my appearance. Then we proceeded to the performance area, which was just a large dining room, where there was some sort of ladies social group meeting in progress. We found our way, or perhaps were directed, to the table where we were to perform. I think the others were already there. When our time came, we were introduced, and Betts began the narration with a brief recap of the events of the previous play. Our performance went off without a hitch, the audience laughed at the appropriate lines, and at the end we were treated to enthusiastic applause. Afterwards the ladies came over to thank us and chat a little, and while they were polite and gracious, I couldn’t help but notice that they were all giving me rather strange stares. And then I remembered that my face was covered with eye liner. Thankfully it wasn’t indelible marker.